Today is a beautiful day. It is March 1st. Spring is coming. All things green and lovely are rolling around. Enchanting flower fields, blue skies, spring farmer's markets and friendly breezes feel on the horizon. And oh yes, I get to give away $500 cash (aka a VISA gift card) thanks to my fabulous friends at SUNSET®! Oh, and on top of all that, I am sharing one of my most favorite recipes. 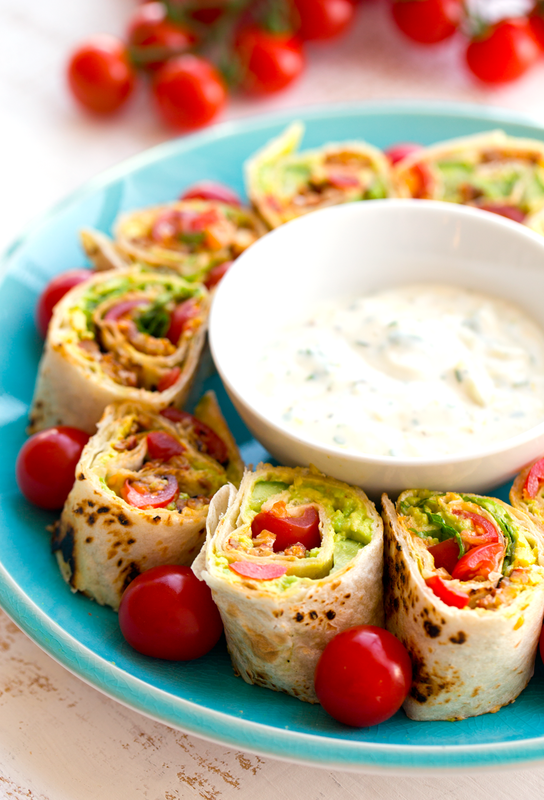 Party-approved, anytime-approved..
Vegan BLT Roll-Ups with Easy Vegan Ranch Dip. Get my recipe + watch my how-to video. All the giveaway details ahead too.. Giveaway has Ended. Please see the widget below for the winner -- please check your email if this is you! 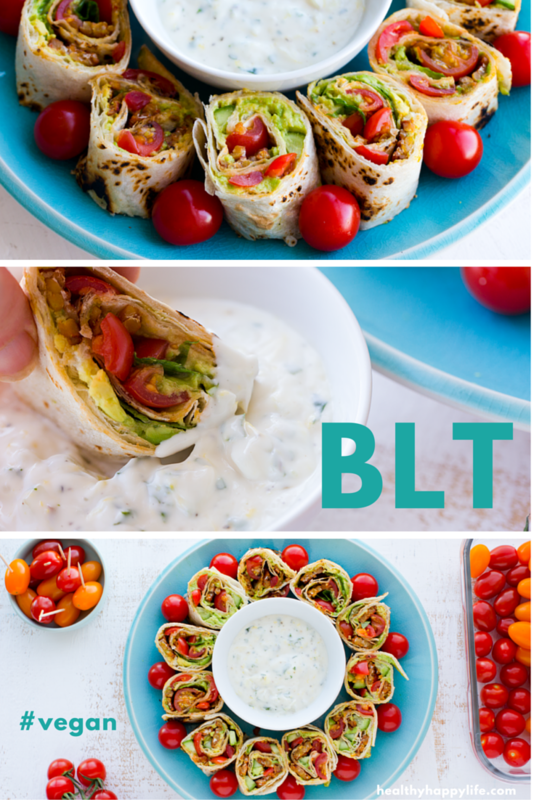 BLT Roll-Ups and a massive giveaway. Not a bad way to kick off March..
Add the goodies.. For the "L" in "BLT" I created two versions: one using romaine (L)ettuce and one with SUNSET® mini (C)ucumbers. 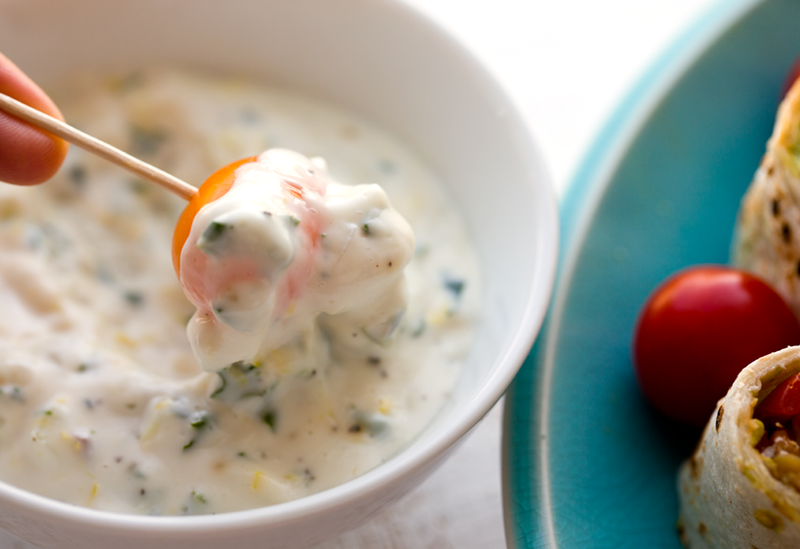 Vegan Ranch Dip + tomatoes = perfect! Now call up your boy or girl friends, binge watch something, catch up on Oscar flicks (I still need to see Mad Max and Brooklyn! 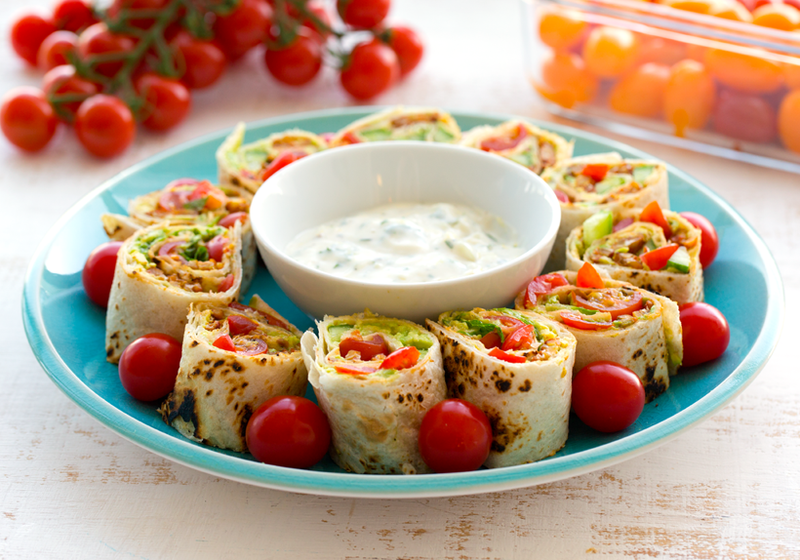 ), and enjoy these roll-ups!.. GIVEAWAY details at end of this post. BLT Platter. This platter is such a fantastic appetizer/party snack recipe because it provides satisfaction. 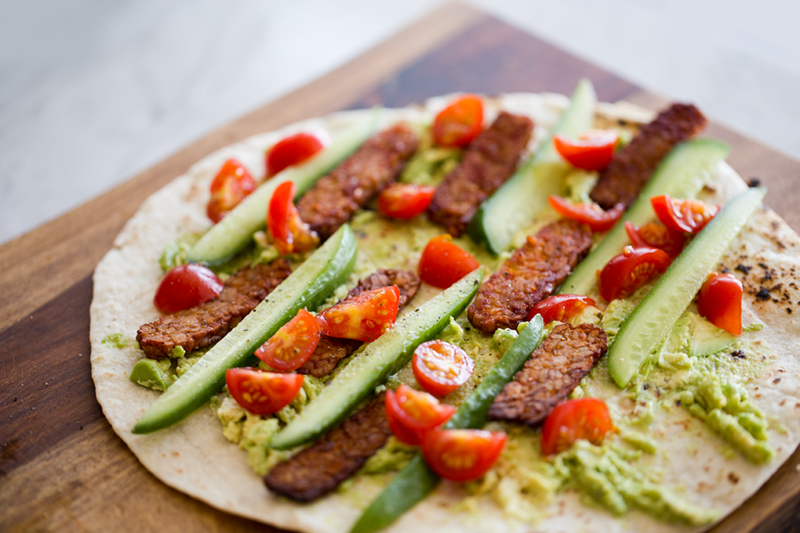 Each tenderly wrapped tortilla roll-up contains my smoky tempeh bacon (or shiitake bacon! ), sweet, juicy, gorgeous SUNSET® tomatoes, lettuce or SUNSET® cucumber and plenty of smashed avocado too. 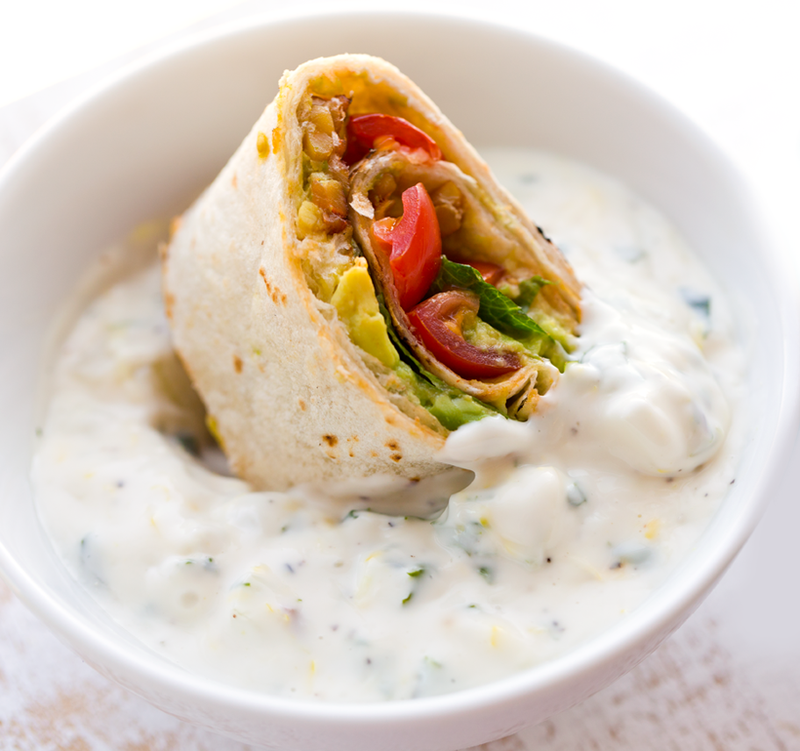 Then I pair these flavorful wraps with my super easy Ranch Sauce. 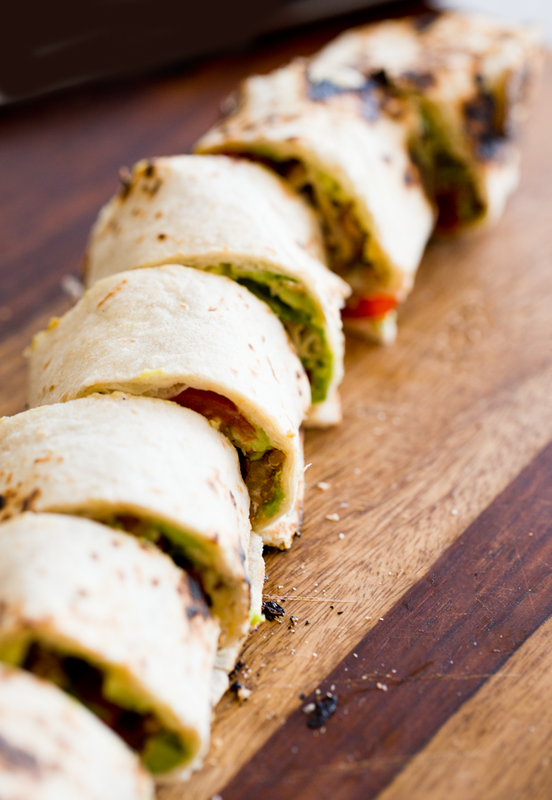 How to make these wraps GLUTEN-FREE: Sub the wheat tortilla with a gluten-free rice tortilla or with rice paper rolls. Or my favorite option, use collard greens as the wrap! Tip: Use toothpicks if needed to secure greens. 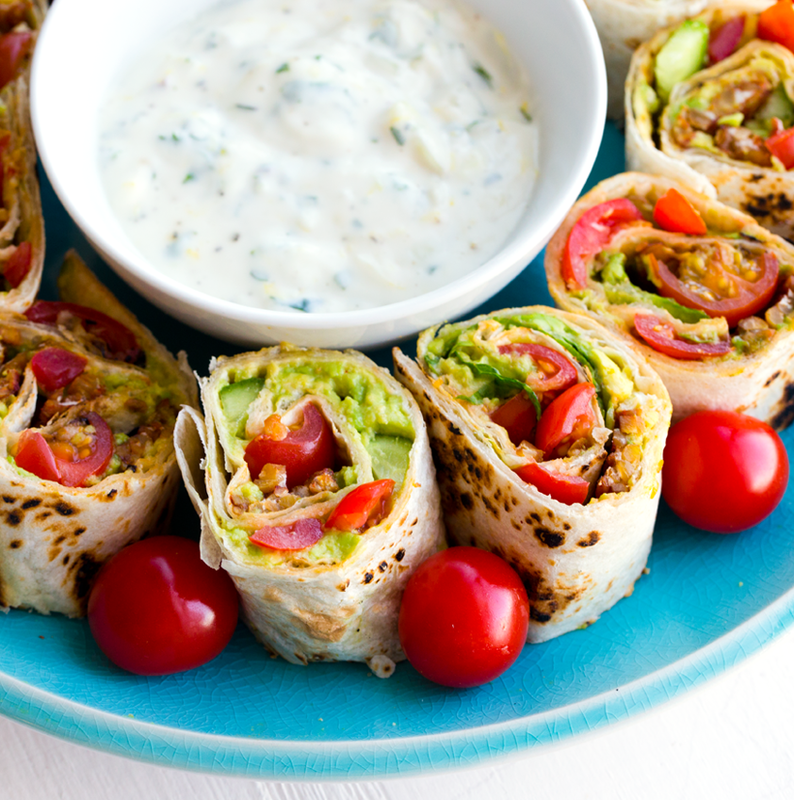 How to make these wraps SOY-FREE: Make sure your tortilla wraps are soy free and instead of tempeh bacon, use shiitake bacon. Also use soy free vegan mayo. 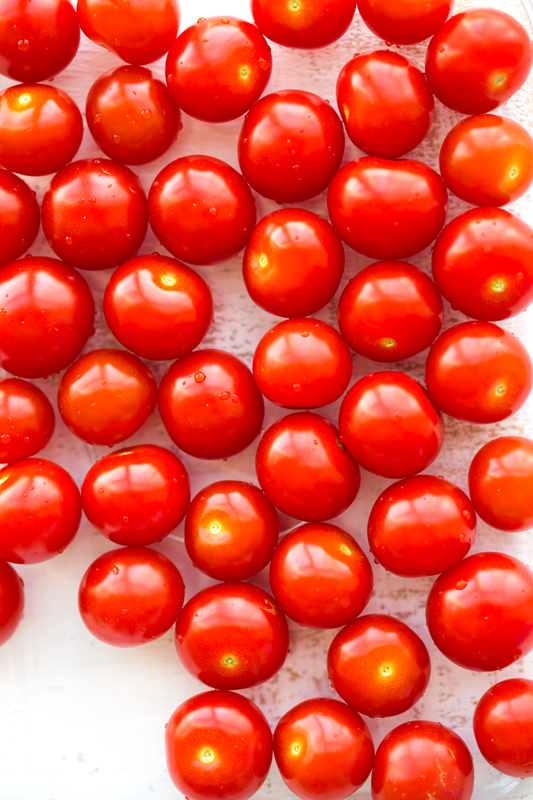 These tomatoes! 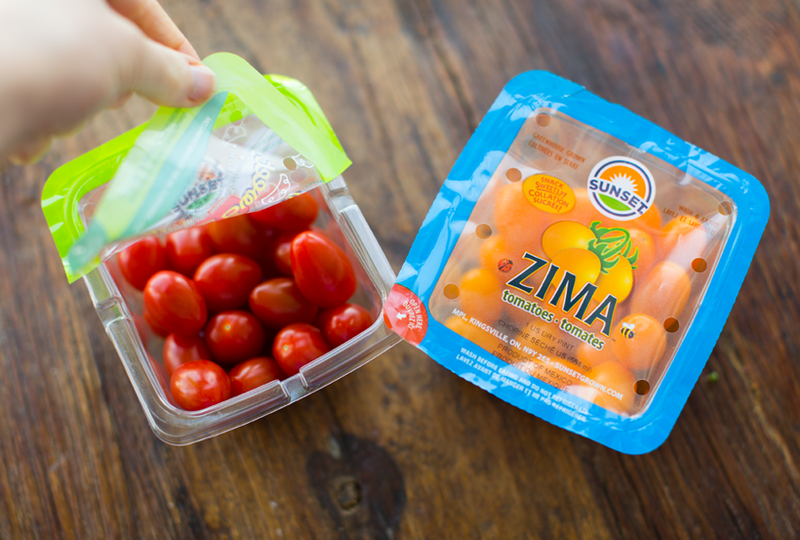 I am swooning over the tomatoes that SUNSET® sent me for this post. Seriously. I cannot get enough of the gorgeous colors and flavors of the diverse varieties they offer. 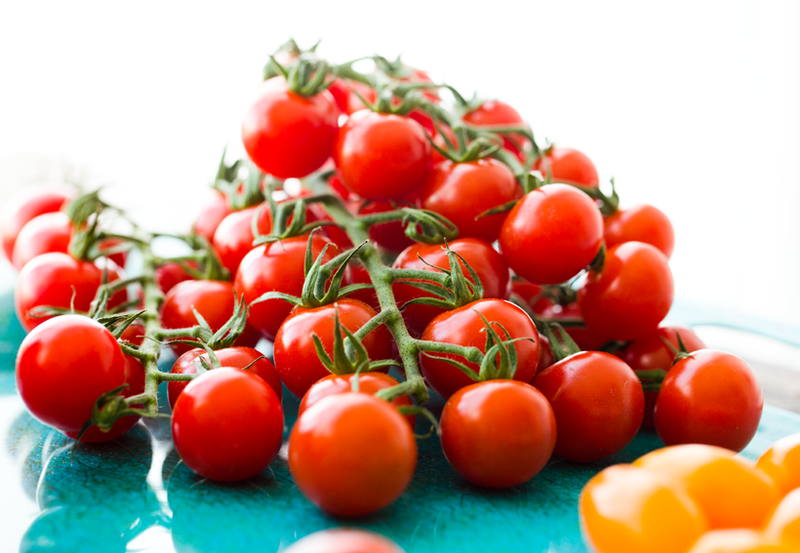 My favorites are the Organic Campari tomatoes and the Organic Tomatoes on the Vine. 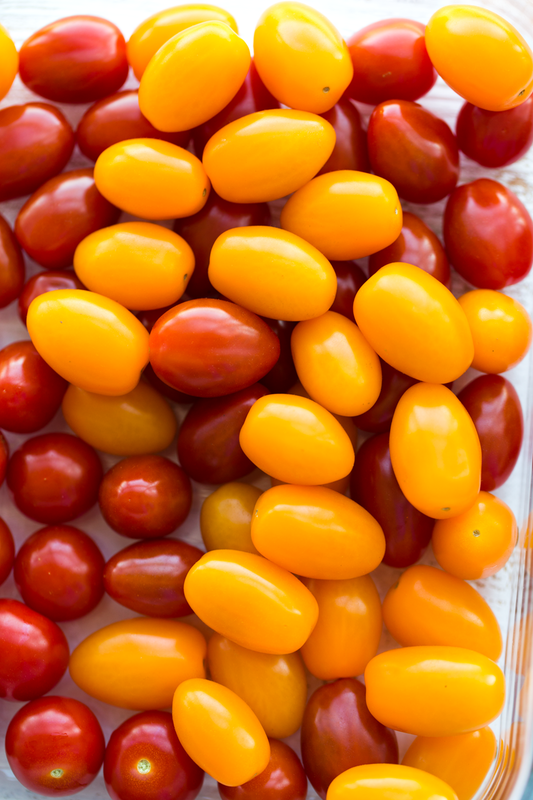 I also adore the unique KUMATO tomatoes and bright yellow ZIMA tomatoes that kinda remind me of candy. And I would love to try their ECO Peppers which are sustainably grown in their pristine greenhouses, using recycled water. I think Leonardo Dicaprio would approve. I also tried out the gorgeous FLAVOR BOMBS variety, which is what most of my photos are of in this post. Seriously one of the most beautiful and flavorful tomatoes I have ever tried. When you bite into one they literally explode with flavor in your mouth. Sweet with a fresh-picked-from-the-garden flavor. So in love with this flavor and the name! I also tried out the mini cucumbers, which I used in place of "lettuce" in one of my roll-ups. 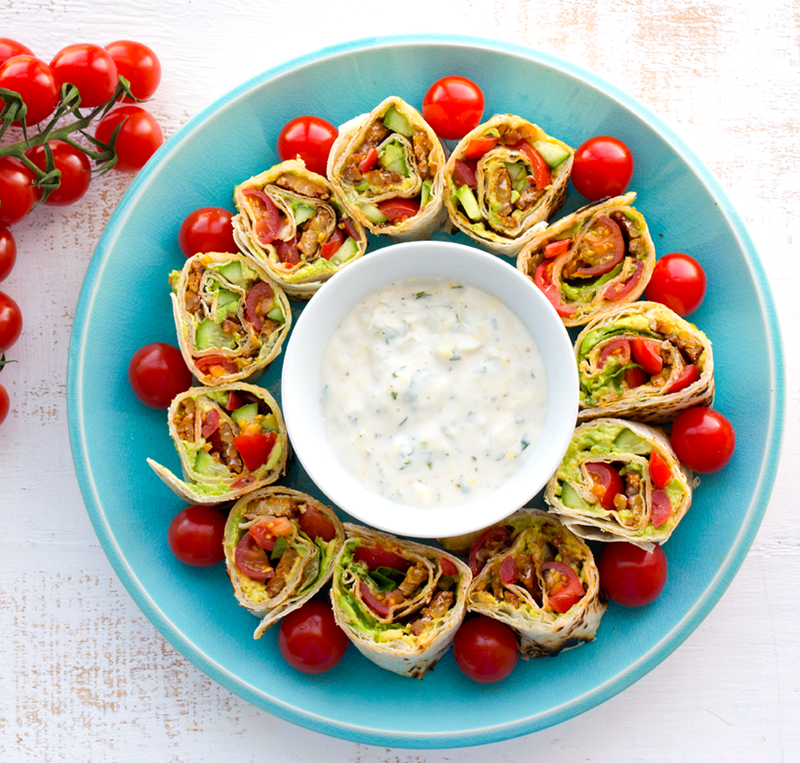 And with that, today's "BLT's" are really "ABCorLTs"
These vegan BLT roll-ups are perfect for a delicious, portable lunch or appetizer - or even a light entree and they also serve a crowd quite easily! Make a big platter and let the vegan deliciousness begin. 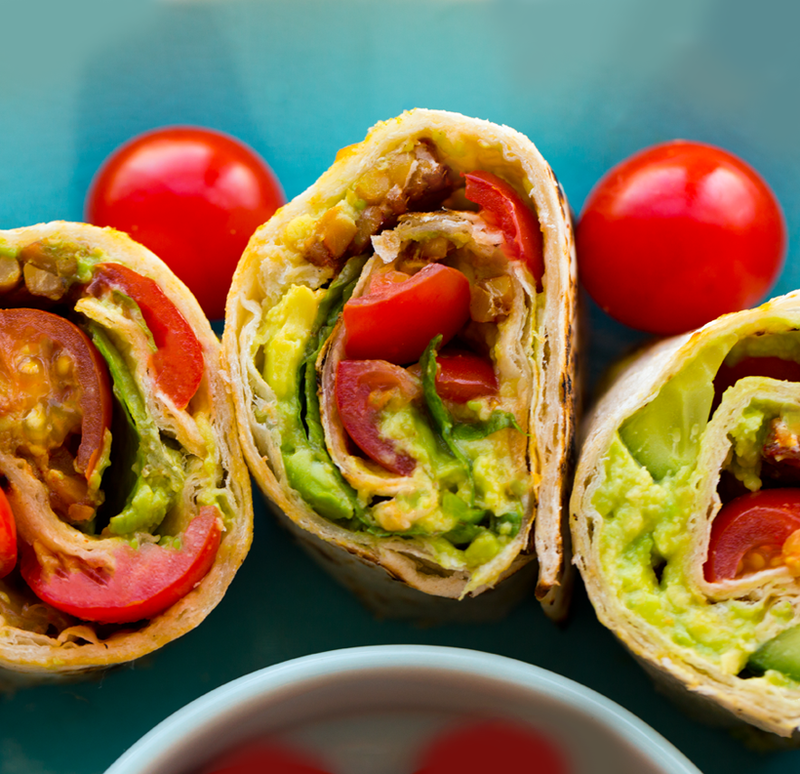 Avocado, vegan bacon, sweet tomatoes and something green, rolled up in a warmed tortilla. For each tortilla: Add avocado slices and smash on top of the tortilla. Add enough so that the entire tortilla is smothered in avocado. 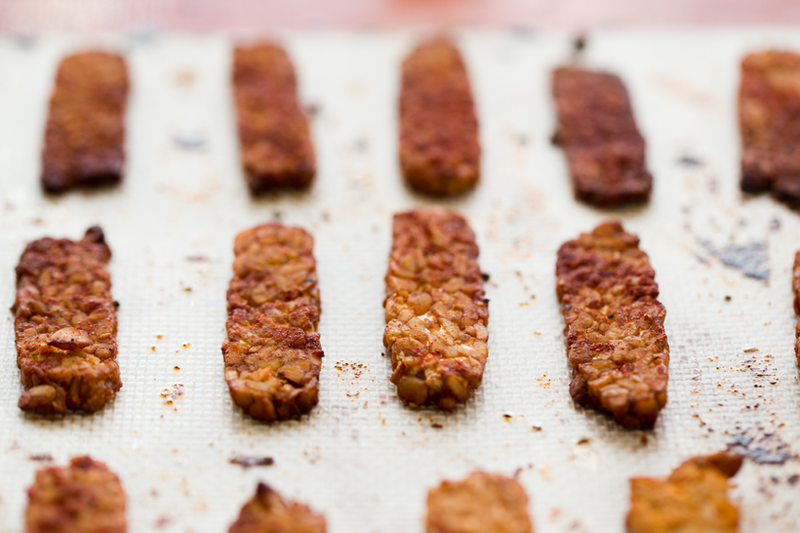 Next, add 7-9 strips of tempeh and about 1/2 cup of the diced tomatoes. Add a few torn leaves of lettuce - or the cucumber strips on top. You want an even distribution of filling. 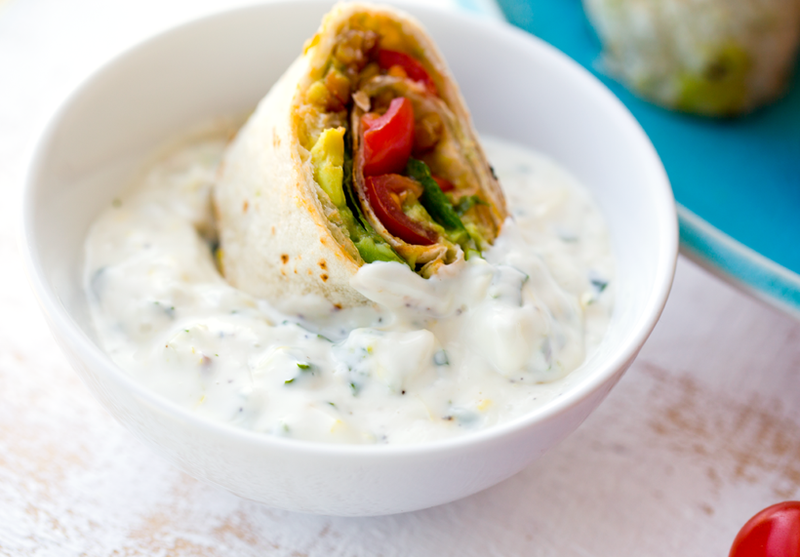 Tip: Leave one edge of the tortilla pretty blank -- this will be the end you roll towards. This prevents any filling overflow. Carefully roll up the tortilla into a tight spiral. See my video for details. Slice the roll and add to serving platter. 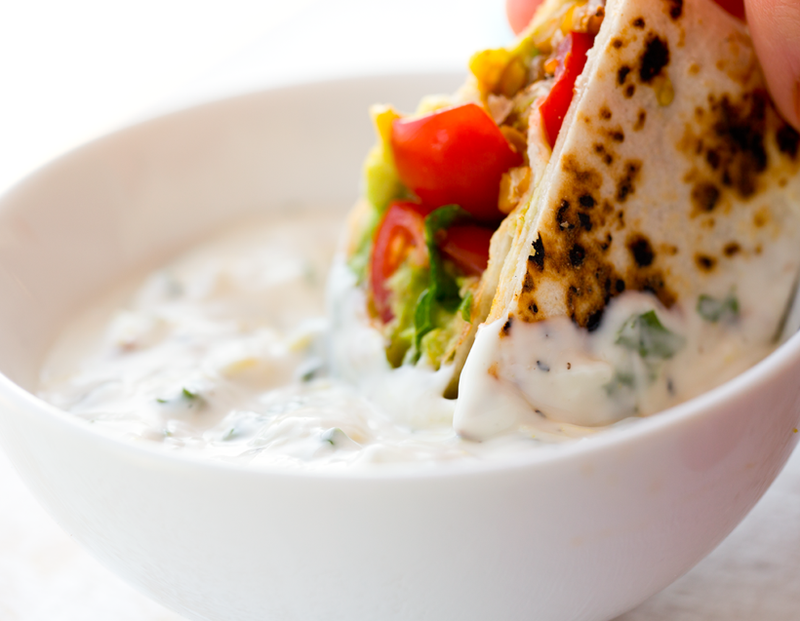 Serve right away alongside the Ranch dip. Yes these roll-ups can be made up to a day in advance! Just be sure to cover them tightly with plastic wrap -- and I would add a spritz of lemon juice on top of the avocado to prevent any browning. Enjoy! And now for the extra exciting part..
$500 VISA Gift Card Giveaway! Open to USA and CANADA shipping addresses. As you will see, the only must-do part of the entering process is signing up for SUNSET®'s email updates. 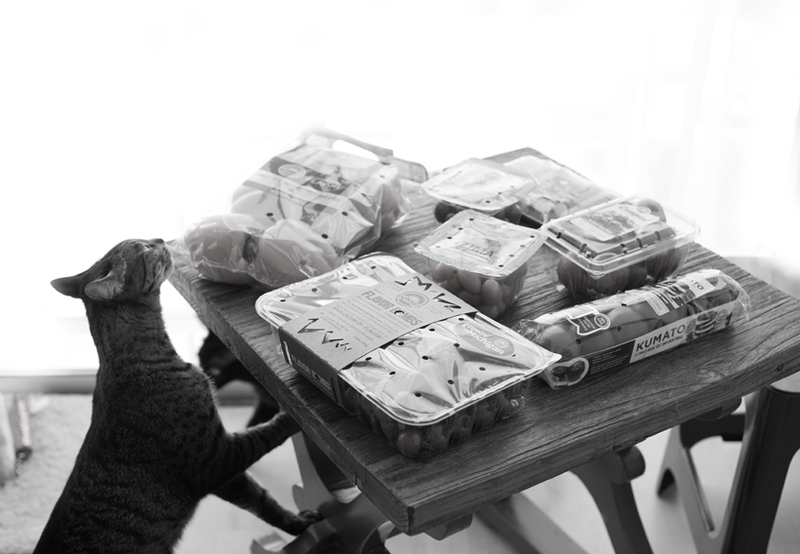 They share some inspiring recipes and more via their newsletter. I cannot wait to award one of my blog readers this fantastic prize! 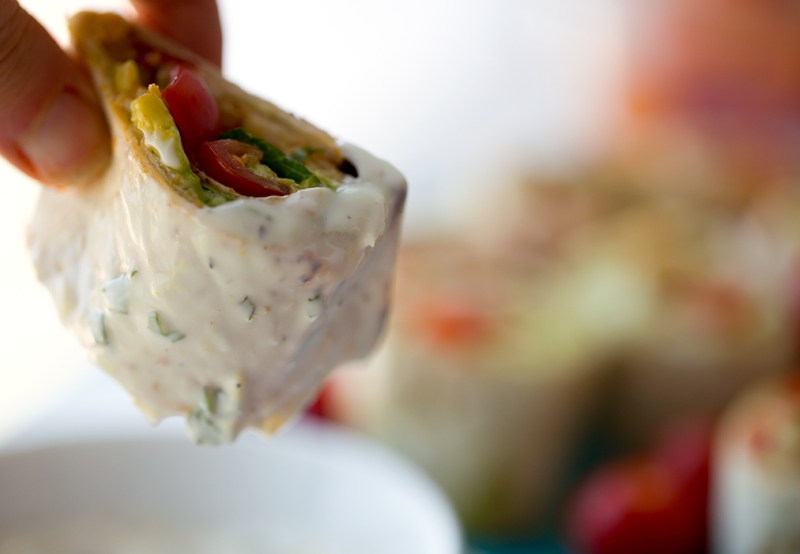 Love this Vegan Ranch Dip - super easy and instead of using dried spices I uses whole foods. Instead of onion powder, I added some finely diced onion, etc. 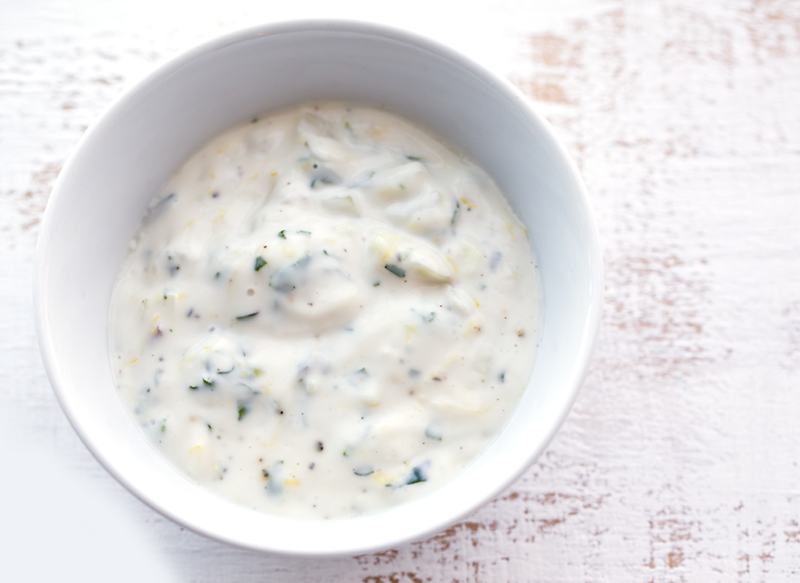 This made for a slightly chunky dip which I loved! 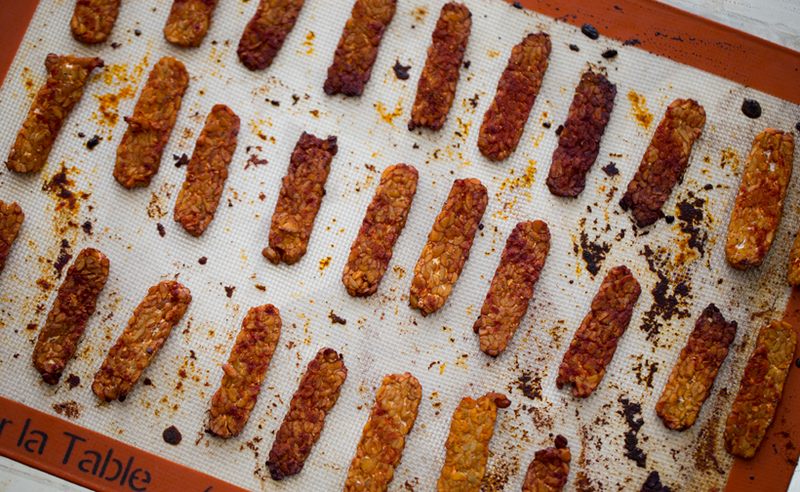 Tempeh for smoky-sweet tempeh bacon..
Love roll-ups? Also check out my Hummus Spirals! disclosure: this is a sponsored post, and the prize was donated by SUNSET®, but all opinions are my own. Thank you to all my brand partners who make my blogging life a reality!